Does the WaterSafe City or Well Water Test Kit Detect MTBE? Earlier today we received an inquiry from 'FloydG' who asked, " I was looking at the WaterSafe city and well test kits and need to know if one of them or both of them can test for MTBE. Thanks." MTBE gets categorized as a volatile organic compound (VOC) and as such cannot get detected by do-it-yourself home water test kits like the WaterSafe City Water Test Kit and WaterSafe Well Water Test Kit. Good afternoon. I do not know which kit you looked at, but I can tell you that only lab testing can detect and quantify levels of MTBE. Both City-Check and Well-Check Standard and Deluxe version include testing for MTBE. MTBE(methyl tertiary-butyl ether) is a chemical compound used almost exclusively used as a fuel additive in motor gasoline. It belongs to a family of compounds commonly referred to as "oxygenates" because they raise the oxygen content of gasoline to improve (reduce) tailpipe emissions from automobiles. At room temperature one can expect to see MTBE as a volatile, flammable and colorless liquid that dissolves relatively easily in water. In the United States MTBE served as a replacement for lead (circa 1979) as an octane enhancer to reduce the amount of 'knocking' taking place in car engines and got added to fuel at low concentrations. Later the amount of MTBE added to cars increased as government restrictions on unwanted tailpipe emissions such as benzene and sulfur became more strict and as refineries realized how easily it could blend with their fuel products and at what (lower) cost they could add it to their products. How does MTBE get into the environment? The main way in which MTBE enters the environment: Spillage. Anywhere gasoline or raw MTBE gets stored, handled, transferred or used presents opportunities for MTBE to find its way into the environment. Many safeguards and strictly enforced regulations exist to minimize the amount of MTBE that leaks or spills but unfortunately no method exists to fully eliminate MTBE spills. Drinking water sources may become contaminated with MTBE from underground and above ground leaking fuel storage tanks, old or damaged fuel pipelines, during vehicle refueling, when automobile accidents damage gas tanks, when the general public improperly disposes of fuel, older marine engine emissions, and from storm water runoff and precipitation that became contaminated with MTBE in the air (note: Experts do not view this last method of contamination as a major cause of MTBE contamination). What is the Most Important Water Test? Today's inquiry came from 'AimElynn' who asked, " Hi, I'm working on a school project for science class and have a question. 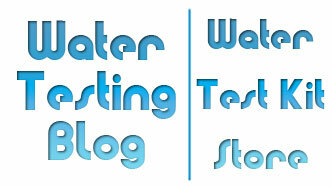 What is the most important water test?" Depth(s) of the water well if the homes have them. Length of piping leading from the municipal water supply to the homes if on a public water system. Coliform bacteria - This test can literally save lives. While not all coliform bacteria will cause illness, certain ones like E. Coli may cause serious illness and even death -- especially when elderly, informed or young children are involved. Heavy Metals - Health officials have long known that dissolved heavy metals in drinking water may cause serious health problems such as slowed mental & physical development in children, various types of cancer and a really large health problem called death. Metals of particular concern include arsenic, chromium and mercury. 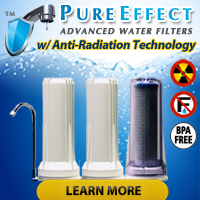 Radiation - While not all areas of the country have a high risk of this sort of contamination, those that do REALLY should pay close attention to radiation levels in their water because they can and do fluctuate on a regular basis depending upon environmental conditions. Radon and radium can really ruin a life if left unchecked! Man Made Messes - This category we made up, but it includes all the man made chemicals and compounds that industry, agriculture and accidents dump into our environment. If big business, the military or agricultural activities took place near a location near you at some point, then testing for VOC's (volatile organic compounds) and other not-so-natural chemicals may make a lot of sense. Pretty scary if you think about it, but also quite manageable with current testing methods generally available to the public. For quick reference testing of coliform bacteria and heavy metals simple at-home DIY water test kits exist and they won't break the bank. But, if they yield positive results, definitely pay attention and have your water tested by an accredited water testing lab such as National Testing Laboratories. OK, OK... So a lot of you have diverted your attention to basketball and your NCAA Tournament brackets and apparently forgotten about the importance of safe, clean drinking water. We'll bet you the athletes competing on the basketball courts have not forgotten, though, because without water they could not amaze you with their agility, blow you away with their ball control and dazzle you with their dunks. So in honor of all the hardworking athletes and support staff going all out and putting it all on the line over the next few weeks, please use discount code MARCHMADNESS to save 11% on everything in the the Water Test Kit Store.... including name brand water testing products by SenSafe, WaterSafe, WaterCheck, Arsenic Quick, Pool Check and WaterWorks as well as quality water filtration products from Propur! Play of the Day: Discount code MARCHMADNESS for 11% off everything in the store! Overtime Buzzer Beater: Free Standard Shipping in the US!